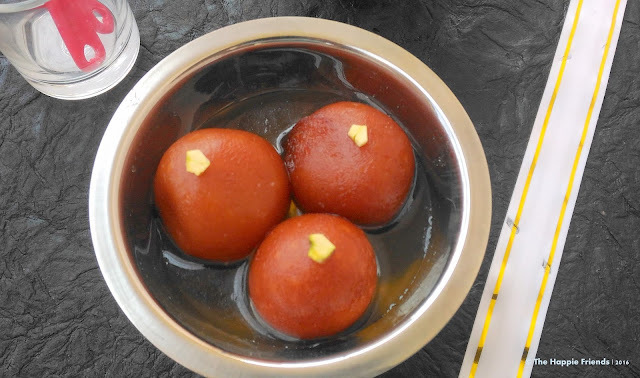 Gulab Jamun is a star dessert in any Indian festival .among all the desserts out there gulab jamun is always loved .It is traditionally prepared by deep frying the balls made out of milk solids and then soaked in Sugar Syrup .Dry fruits and saffron can be added to enhance the richness. Mostly I used to prepare jamun with the readily available instant gulab jamun mix, however I have seen bread jamun’s in many blog hence I was tempted to try out this version when I had some milk bread available in home. It tasted awesome I would say. 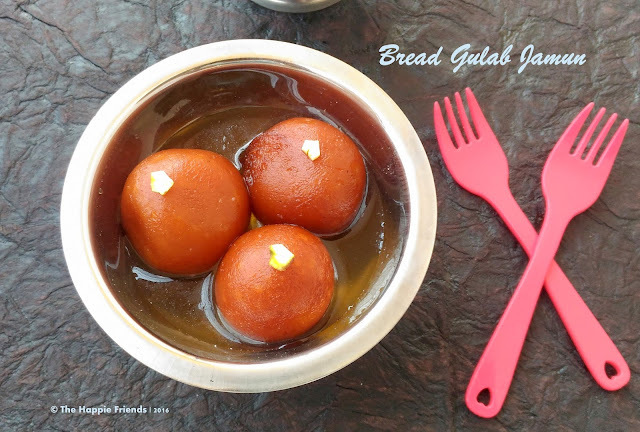 So this Diwali try this instant bread gulab jamun’s and gift your near and dear ones. I have tried some more Diwali special sweets, so keep checking out this space for more Diwali Sweets and Snacks. 1. Take milk bread and trim the edges .After trimming take milk in a large bowl. 2. Immerse the milk bread in milk and let it absorb and then squeeze out the excess milk. Repeat the same for all the breads. In a blender add in the milk squeezed out bread, milk powder and blend it to a fine paste. (Forgot to click a pic in this stage.. My bad) .Now with the bread dough knead it for another 5 mins and then roll the dough into small equal sized balls. And set aside. 3. In a pan add in sugar, Water and Cardamom and start boiling the sugar will start to dissolve switch of the flame when the sugar starts turning sticky no need to wait till single string consistency. 4. Heat oil in a pan for deep frying, drop a small ball to check if the oil is ready for deep frying .If the balls comes up puffing up start adding 4 to 5 jamuns at a time and fry till they turn golden brown drain it in paper towel and then add them into the prepared sugar syrup. Allow it to sit for minimum 2 hours before serving so that the jamun absorb the sugar syrup well. Fry the gulab jamun in medium flame as the gulab jamuns tends to brown fast. Add a tsp of Rose essence while preparing the sugar syrup it enhances the flavour. Never skip blending the bread, if skipped the gulab jamun will tend to be harden. Keep the jamun soaked in sugar syrup for minimum 2 hours before serving. Looking awesomely delicious. Mouth watering and very tempting sweet dish recipe! Lovely share. Never tried this before. ... u haven't added maida ? Is it ok without maida ? ..... great !!! It has truned out good.... !!! I have added milk powder for the texture.. Yes can skip maida .. Give a try ALboni!! Bread gulab jamun looks super delicious and sounds like a great treat. Mouth watering dessert..tempting..you presented awesome!! 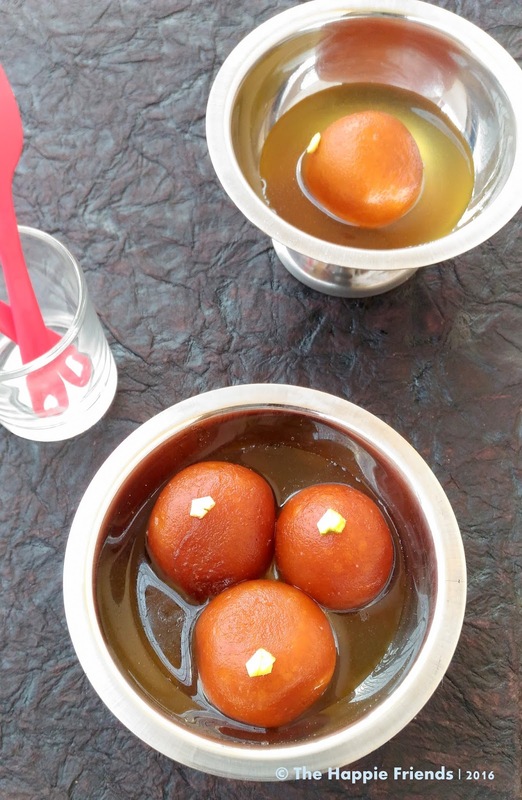 This is an easy way to make gulab jamun.... really tempting sweet.....!!! Looks so perfect and delicious! Made once, turned out to be a disaster. Now, here I have your version to try. Gulab, just a tiny piece is always divine on my palate after a spicy meal. Loved. Yes preparing Gulab Jamun is always a fun that to with the easily available ingredients! !